Here at ACEPHA we care about gamers. 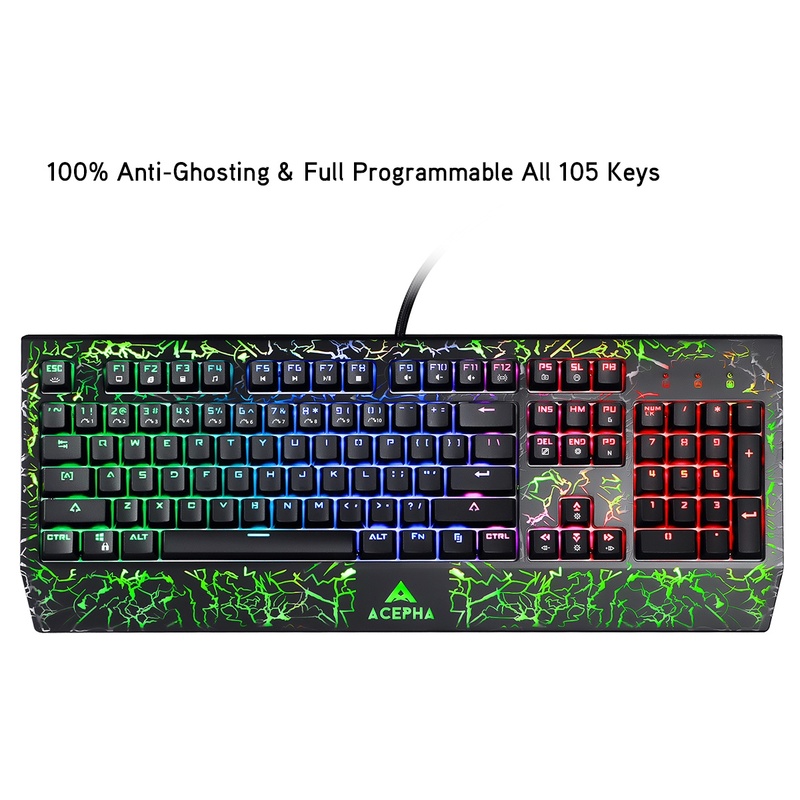 We know that you want a great-looking keyboard that will last and won’t have you rage-quitting your game when the keys decide not to respond. That’s why we developed our Mechanical Gaming Keyboard. 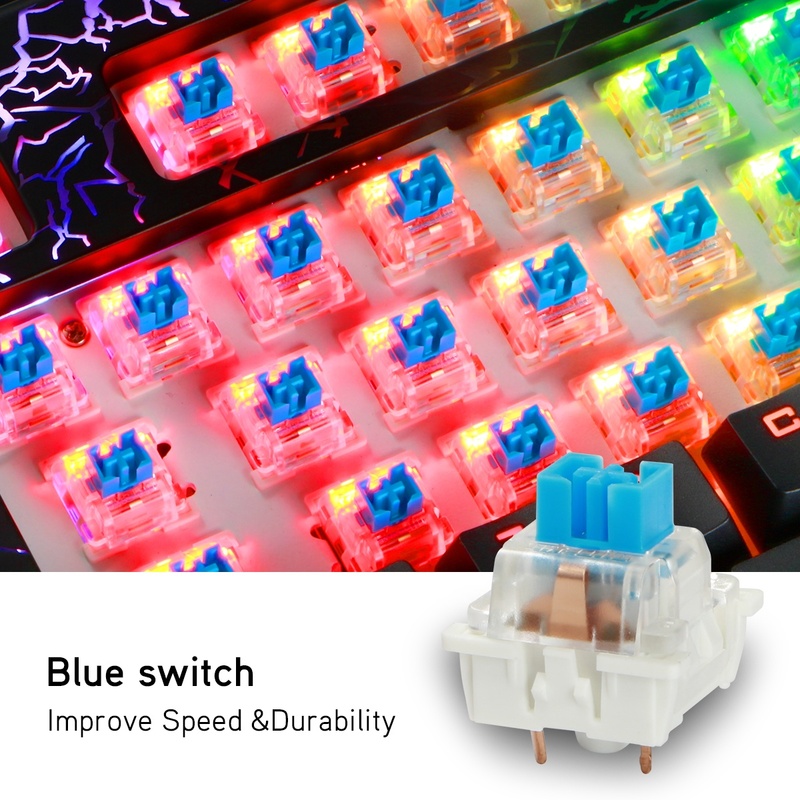 Designed specifically for gaming, our Blue Mechanical Switches actuate at an optimal distance, giving you speed and responsiveness like never before. 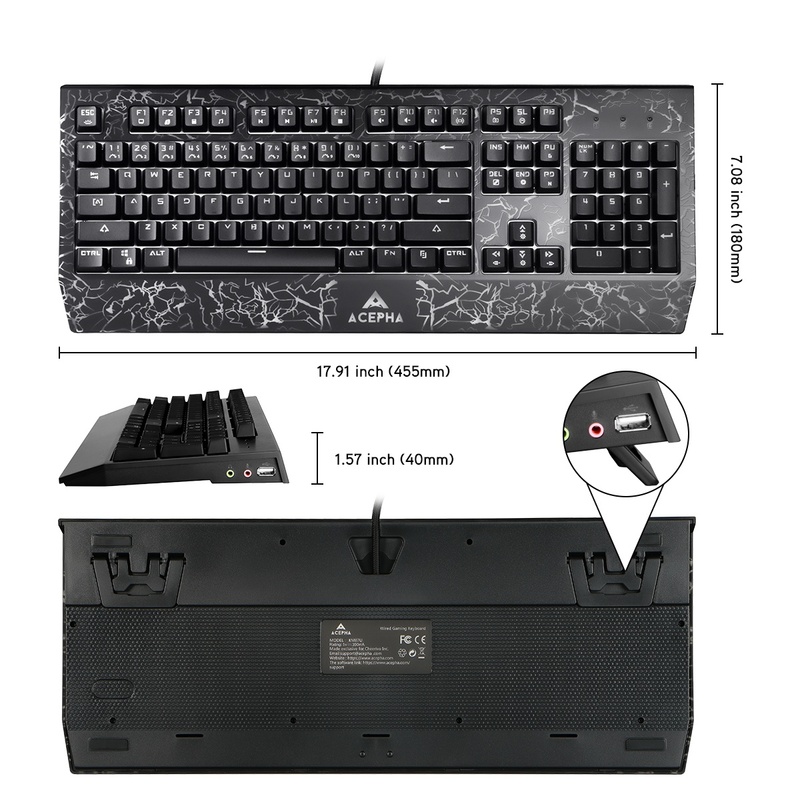 With tactile bump and audible click for the best overall gaming performance, every switch on the mechanical keyboard can be pulled out for easy dust removal, cleaning and replacement. Our floating cap design has ABS exquisite two-color injection molding that will not fade. The USB cord is covered in a light black fabric braid and is of a good length. This will give you a perfect compatibility with laptops or your desktop PC. Compatible with Windows10, Windows 8, Windows7, Windows XP, Vista, etc. Compatibility: Windows10, Windows 8, Windows7, Windows XP, Vista, etc. 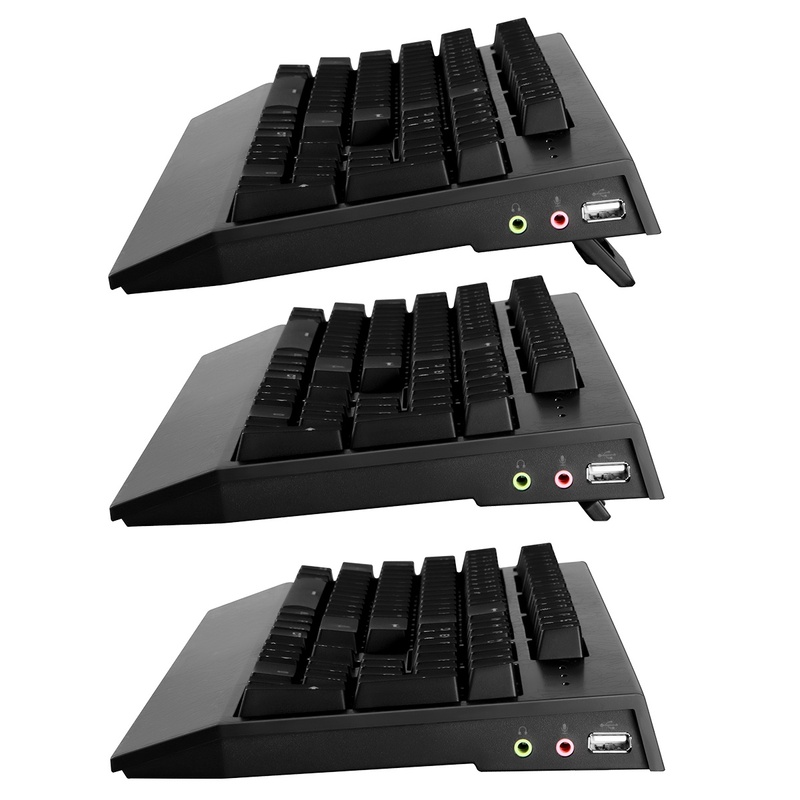 Amazon’s 5-star rating of “I love it” is exactly what I would say about this keyboard. The keys feel amazing, the click and sharp (although my roommates don’t exactly like it), the lighting is lit, the extra ports it gives are awesome, and it feels like it wasn’t cheaply made. I really like having the extra usb port for a wireless mouse since it puts the dongle closer to the mouse, therefore reducing lag (just a quick heads-up though: in order to use the extra usb port on the keyboard, you have to plug in a second usb input from the keyboard to the computer; the same goes for the sound ports, you have to plug in cords from the keyboard into the slots that would normally be used for these functions). The keys and lighting around the frame are awesome, but I wish there were more options for the lighting around the frame other than just solid color and color rolling. One other thing I wish this had is modular cords. Two usb cables and two 3.5mm cords take up a lot of space, especially if you don’t plug some into your computer, so beware if you plan to use this to its “fullest.” Other than that, this is an awesome keyboard and typing on it is an absolute joy. While the switches are not Cherry MX Blue, but Outemu Blue, it is hard to tell the difference unless you’ve only ever typed on Cherry switches. 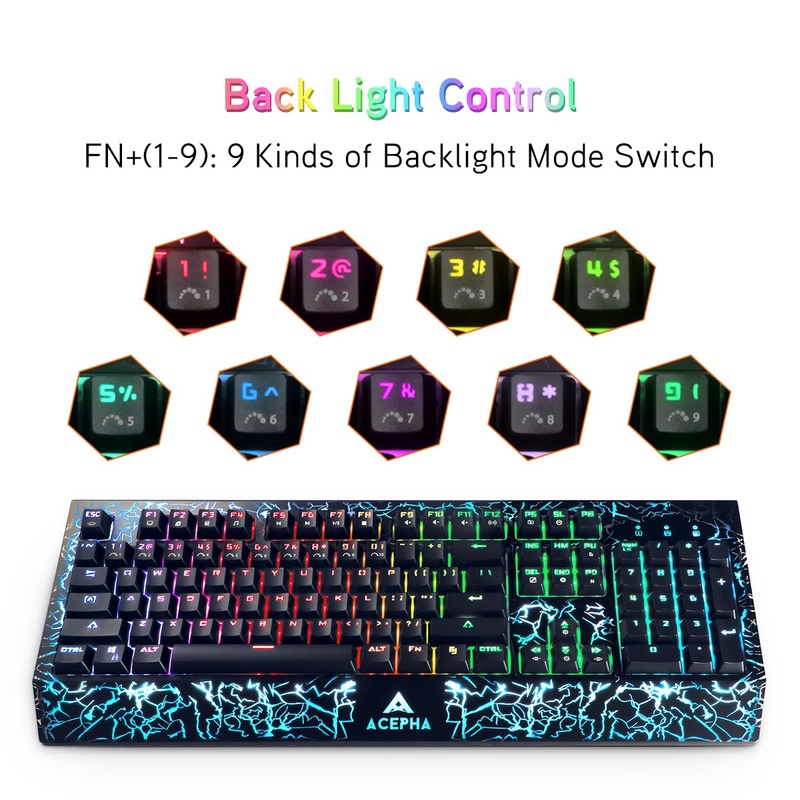 ?The lights are Amazing, I still can’t get over how cool this looks, and it types smoothly, love all the bonus features sound control, and this is definitely the best keyboard I ever bought! Best gaming Keyboard I have ever had! I love that it lights up so I dont have to have the lights on! It comes with extra keysI love it! love the feel and response,very satisfy as a gamer.and the RGB lightning switch make it more awesome. 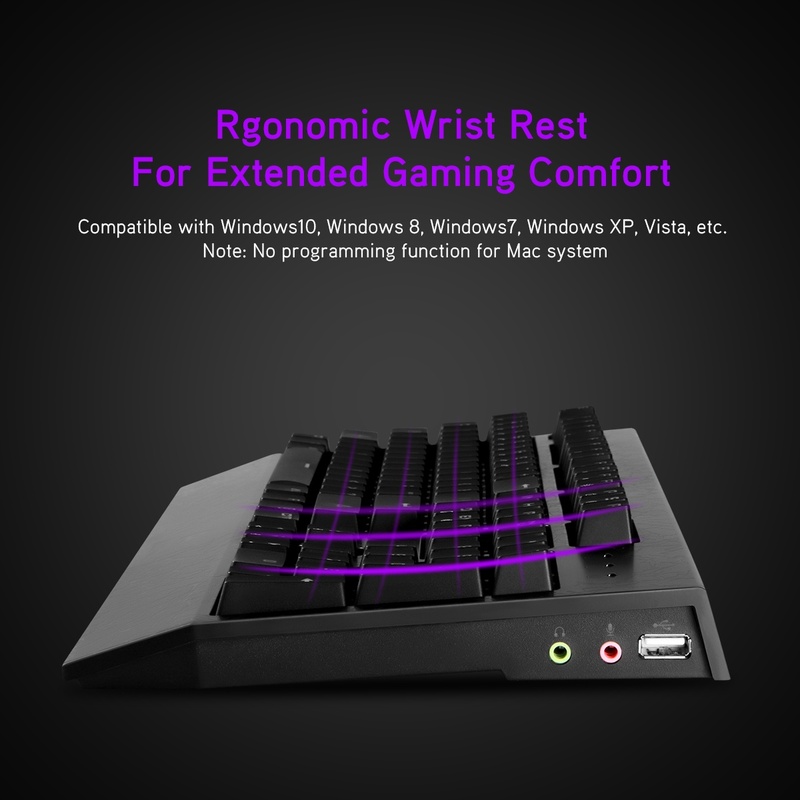 ?This keyboard is a great addition to my gaming PC. It’s comfortable to use. 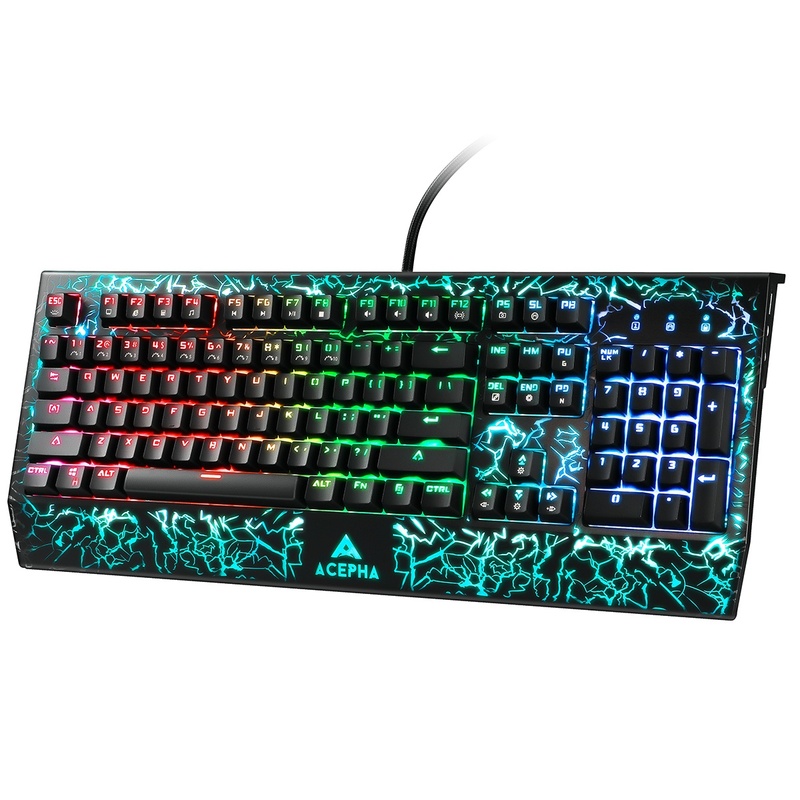 The lights and color pattern is very eye-catching, making this keyboard one of the best I’ve used. The price was also very affordable. I am very impressed with this product and would highly recommend it to any other Amazon customer! Very cool keyboard. It feels nice and types nice. But the colors just make it awesome. Very nice keyboard, the quality is very good, its cool, very much like it. Received the keyboard three days ago. It has amazing light modes. It can handle sample tying work and it’s perfect for gaming. Be careful this keyboard don’t support Mac OS. I tried to attach it to my MacBook, but it seems the keyboard only support Windows. Absolutely LOVE this keyboard. It is strong, and sturdy built, and the colors are so very bright and vivid. The keys are big for little fingers or even my husbands big chunky fingers. I will for sure recomend this keyboard to all of my friends.